AMC’s zombies might not be quite as perky as they used to be, but ratings for Sunday’s return of The Walking Dead underscore it’s still easily cable’s No. 1 series — and the biggest show on all TV among younger viewers. Per Nielsen same-day ratings, the season-eight opener (and the show’s 100th episode overall) drew 11.4 million viewers and notched a 5.0 rating in the advertiser-coveted demo of adults under 50. 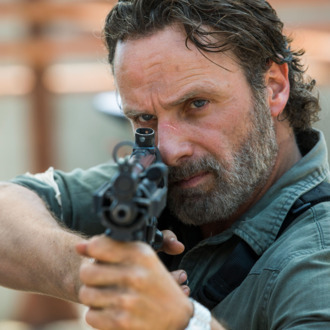 Unsurprisingly, TWD’s return finished well below last October’s heavily hyped season premiere, which delivered a near-record 17 million viewers and an 8.4 demo rating by resolving a key season-six cliffhanger. This fall’s return also came underneath February’s season-seven mid-season return (12 million viewers) and, yes, it was the least-watched start to a TWD season since 2012’s season-three opener (10.9 million). But while some of AMC’s rivals — particularly the broadcast networks — will be quick to declare trouble in zombieland, there’s no reason for the network to panic quite yet. To be sure, Sunday’s numbers demonstrate that TWD isn’t quite the same phenomenon it was a couple of years ago, when even the least-watched episodes of the series — let alone a season premiere — could be counted on to bring upwards of 13 million viewers. After 100 episodes, the series isn’t quite must-see-the-minute-it-airs TV for all of its viewers; a certain chunk has also no doubt bailed completely and won’t be back until the series finale. But when you consider the pace of erosion taking place at nearly every network, broadcast and cable, TWD seems to be coming in for a soft landing, ratings-wise. Sunday’s premiere actually drew a slightly bigger audience than last April’s finale (11.3 million), something which didn’t happen in 2015, the last time TWD returned from its summer hiatus with a normal season premiere. What’s more, a slew of cable and broadcast shows that were big just a couple of years ago have suffered far more dramatic erosion. Mr. Robot, which launched with 1.8 million same-day viewers in 2015, was down to fewer than 700,000 for this month’s season-three premiere. Fox’s Empire, which passed TWD in terms of overall audiences with its season-one finale (17.6 million) two-and-a-half years ago, returned with a much more modest 7 million last month. It’s also worth noting, as always, that these early numbers may not truly reflect how much ground TWD has lost between seasons. More will be known in a couple of weeks, when Nielsen releases DVR ratings that include a week’s worth of replays as well as audiences who streamed the show on AMC’s online platforms. TWD will no doubt still be sharply down from last year, but it’s quite possible that it’ll make up some of the difference in delayed viewing. A bigger question mark: Will the show’s usual week-two decline — a drop of just over 2 million viewers in recent seasons — decrease, increase, or stay the same next Sunday? If either of the latter two options, TWD will notch its first same-day audience below 10 million since 2012, when the series was still very much in growth mode.